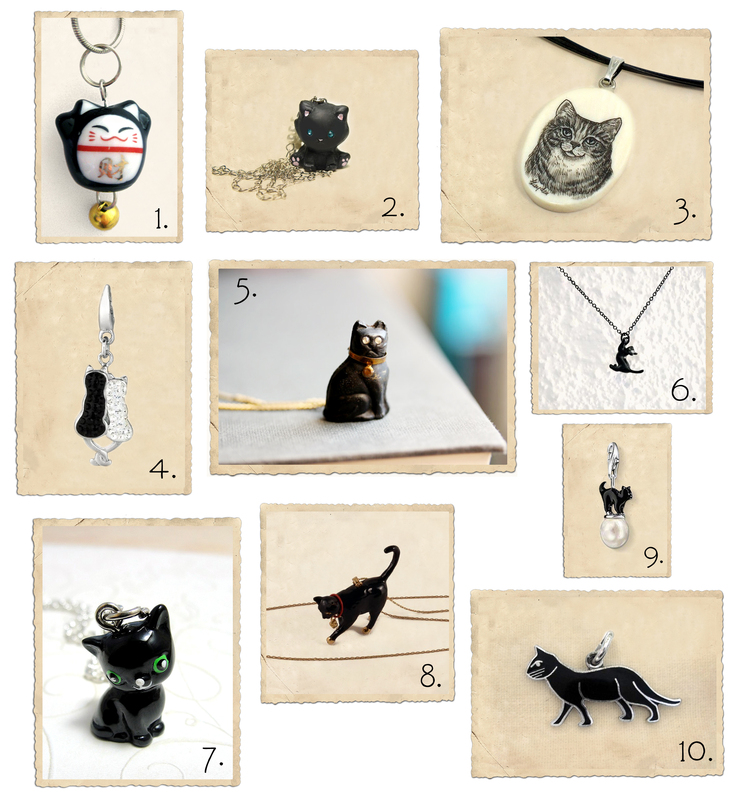 With Halloween around the corner, I thought this would be the perfect time for a post featuring black cat jewelry. I have to confess that I’m not a huge fan of Halloween myself; I actually think it’s kind of creepy (I know that’s the point, but I still don’t like it). But I do love cats! Cats as symbols have a long history, as long as civilization itself. Through the ages, there have been many powers attributed to them – they have been considered good and evil, gods and witches, healers and bringers of disease, and some of the things that were done to them are too horrible to even think about (Google “France cat burning” and you’ll see). Black cats in particular were and are viewed with suspicion – we all know that a black cat crossing the street in front of you is supposed to be bad luck, and even to this day, rescued black cats are only half as likely to find new homes as their white, calico, gray, etc. siblings. But, fortunately, they have also been considered good luck. 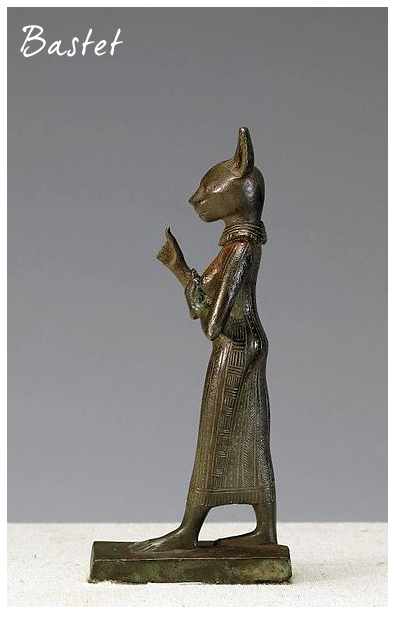 In ancient Egypt, the cat Bastet was a goddess of love and protection; killing a cat was a crime that brought a death sentence, and many cats were mummified and buried in coffins, just like humans (archeologists found a cemetery in the city of Bubastis with over 300,000 cats in it!). In England they were thought to bring fisherman back safely from the sea, and sailors believed that a black cat on the ship kept storms at bay. Receiving a black cat as a wedding gift is good luck, and there is an English proverb that goes “Whenever the cat of the house is black, the lasses of lovers will have no lack”. And in Japan, Maneki Nekos, very popular cat figurines that come in all kinds of materials, shapes, sizes and colors (including black), are believed to bring good luck and protection to their owner.